Jim Henson’s Labyrinth 2017 Special is a collection of short comics about the denizens of the Goblin King’s Labyrinth. While the film was focused on Sarah’s journey, this gets into some of the unexplored corners of the original story, elaborating on fan-favorite characters’ backstories and giving us a deeper look at goblins with minor roles in the film. The painterly vignette embodies Ambrosius’s sweet, loyal, sensible personality perfectly. (That dog was a really good actor.) And Sir Didymus, of course, displays his characteristic single-minded, chivalrous courage, which is admirable if not always entirely advisable. On the whole, it turns out that goblins are … well, not very bright. But they are endearing, and their stories are charming and funny. One of my favorite moments in the collection is this center panel of Jareth in the story “Beauty or the Beast,” by Roger Langridge. 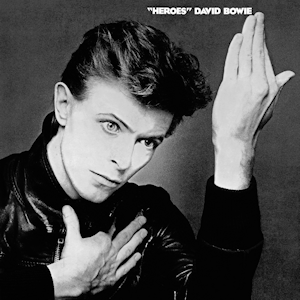 The homage to David Bowie’s 1977 album “Heroes” adds a thoughtful touch that seems to reach out of the story, out of the page, to connect the creator to the reader through a mutual appreciation of the people who made Labyrinth so iconic. It’s a nice reference that also expands on the themes of the brief story depicting Jareth’s attempt to convince baby Toby to stay with him as heir to the Goblin Kingdom. The soundtrack is such an important feature of Labyrinth that I appreciated having music incorporated so organically into a story here, as well as the creator’s faith in the reader to recognize it. Like the titular Labyrinth, things in these tales aren’t always what they seem on the surface. While centering on the goblins, it’s interesting that the stories underscore something fundamental about Jareth that the film strongly suggests but doesn’t really specify. Sir Didymus has Ambrosius. The worm has his missus. The goblins have each other. But Jareth? Is he inventing elaborate magical puzzles, juggling crystal balls, and stealing babies out of some profound boredom or loneliness? How did he come to rule the Goblin Kingdom? Jareth’s own backstory remains a tantalizing mystery, and I can’t wait for the upcoming Archaia Labyrinth title that explores his history with the goblin world. Tia Vasiliou is a Digital Editor at comiXology and co-host of The ComiXologist Live, a weekly show about comics and all manner of geekiness. Fun fact about Tia: “David Bowie” was among her first words as a baby.